Karina's Kreations: Adventure Awaits Card! Most of the items on this card are retiring or only available until May 30th! The stamp set is called Adventure awaits. This stamp set is perfect for stamping on window sheets to add to cards or scrapbook pages or for 3-d projects. It's available until May 30. The maritime Designer Series Paper, window frames collection framelits and costal cabana baker's twine are all retiring items. 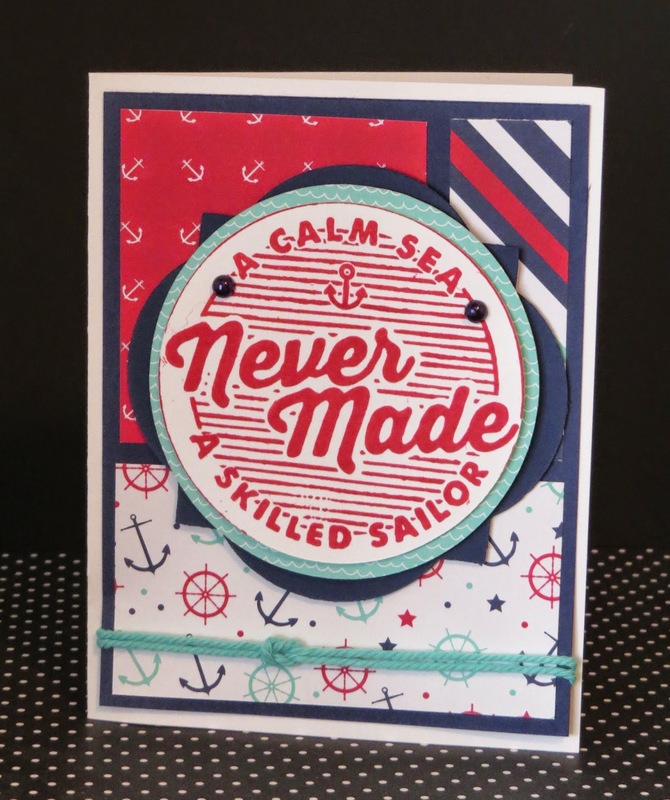 I love the colors in this masculine card! Place a $50.00 order and I'll send you a new Catalog in the mail for FREE! Start shopping now!